The 1", large swivel head connector can be used in conjunction with straps up to 1" wide. Use it with lanyards, crafts, or handbags. 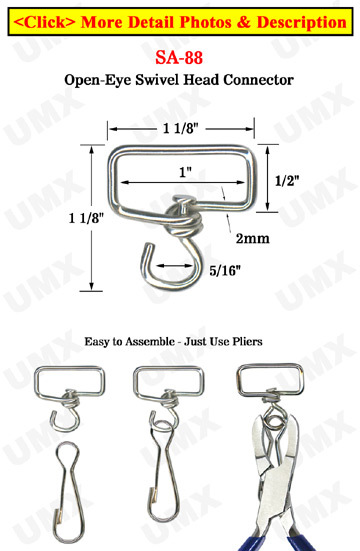 Attach the connector to a hook, badge clips, meters, or other small devices that require the swivel function. Use pliers to close attachments in place. **Please see the above image for Easy Assembly Instructions.